The latest print edition of RBTH’s specialized business magazine was unveiled on Oct. 26, 2016 at the Eurasian Week Forum. The second edition of Doing Business With Russia was presented at the Eurasian Week Forum and Expo 2016 in Skolkovo in southwestern Moscow on Oct. 26-28. The new edition features articles about major events in the country’s business life, including: news about a major investment by U.S. pharmaceutical giant Pfizer, a special report on development in the country’s Far East, the latest on the expansion of the Eurasian Economic Union and a Q&A with Russia's Central Bank head Elvira Nabiullina. The issue also features success stories of the most promising Russian startups. Doing Business With Russia was created by Russia Beyond The Headlines with the support of the Eurasian Economic Commission, the Trade Representation of the Russian Federation in the United States and the Russian Export Center. The magazine covers the specifics of doing business in and with Russia. Its mission statement is to strengthen business ties between the Russian and international business communities. 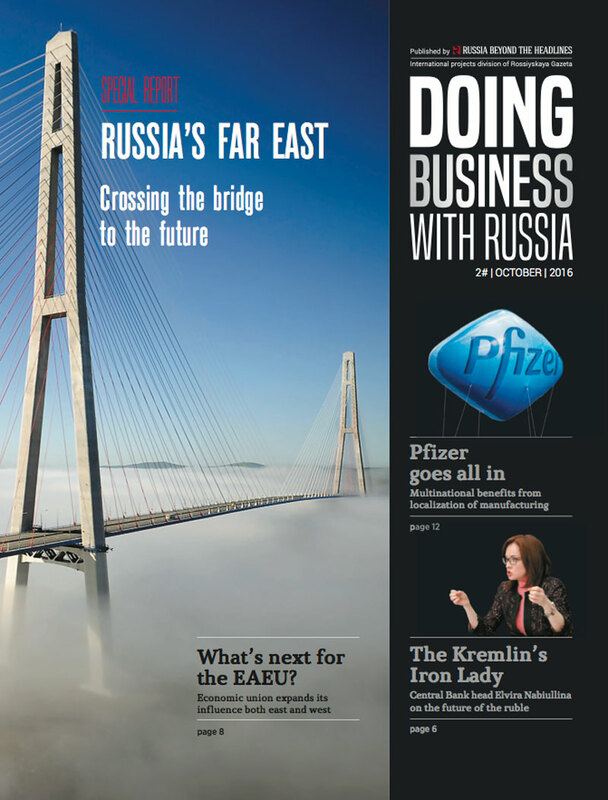 Visit doing-business-with-russia.rbth.com to find out more news, views and opportunities for business.